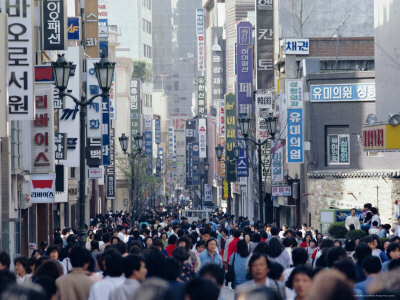 Seoul, surrounded by rugged mountain peaks and located on the banks of Han River, is a vibrant, fun and fascinating city with a population of more than 10 million and has been the capital of South Korea since the 14th century. 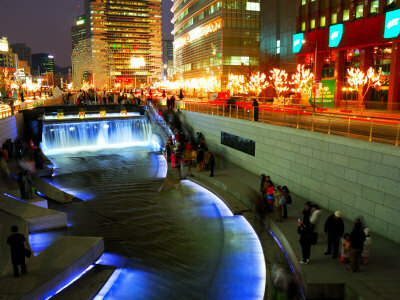 This is a city where the modern meets the old, a combination of historic sites, buildings and palaces with the state of art skyscrapers filled with neon lights like the N Seoul Tower, luxury hotels, great restaurants, amazing shopping complexes and irresistible nightlife with posh niches for entertainment. This 600 year old capital of South Korea rich with history and culture is where you can shop, wine and dine. It is home to four UNESCO World Heritage Sites: Changdeokgung Palance with its picturesque secret gardens, Hwaseong Fortress, Jongmyo Shrine and the Royal Tombs of the Joseon Dynasty. There are beautifully landscaped parks, palaces and forts, pagodas and temples as well as museums, art galleries and shopping arcades. The natural beauty of the place shines through the national parks and scenic coastline, beaches, waterfalls, springs and lakes. From the minute you step inside Seoul Incheon International Airport, you know you know you are in an amazing place be it for business or pleasure. In fact, Incheon International Airport received the Skytrax World Airport Awards 2012 for being the world's best airport. You will find internet services to get you online, luxury lounges to refresh you, relaxing spa services, museum to fuel your curious mind, information centers to help you plan your tours and even a golf course if you have time to kill. Today, Seoul with its highly technologically advanced infrastructure is a leading global city, ranking amongst the top 10 in the Global Cities Index of 2012. This city seems to be turning into the hub of business activities, hosting many of the international conferences here. It has made its mark as the top ten financial and commercial centers in the world and large corporations like Samsung, LG and Hyundai-Kia are household names worldwide. I am therefore not surprised that the rest of Asia have voted this place the top travel destination 3 years running in 2011. If you are one of those who prefers not to join in the hurried pace of a tour, sightseeing on your own is relatively easy where the subway, bullet train, bus and taxis are safe and efficient. There is a unified public transportation system with Incheon and Gyeonggi which means that passengers can transfer freely from either subway or bus using the T-money smart card and is connected via AREX to Incheon International Airport. I travelled on the bullet train and the subway quite extensively when I was there and to say that it is impressive is an understatement. This place is a showcase for sporting events hosting events like the 1986 Asian Games, 1988 Summer Olympics, 2002 FIFA World Cup and the 2010 G-20 Seoul summit.